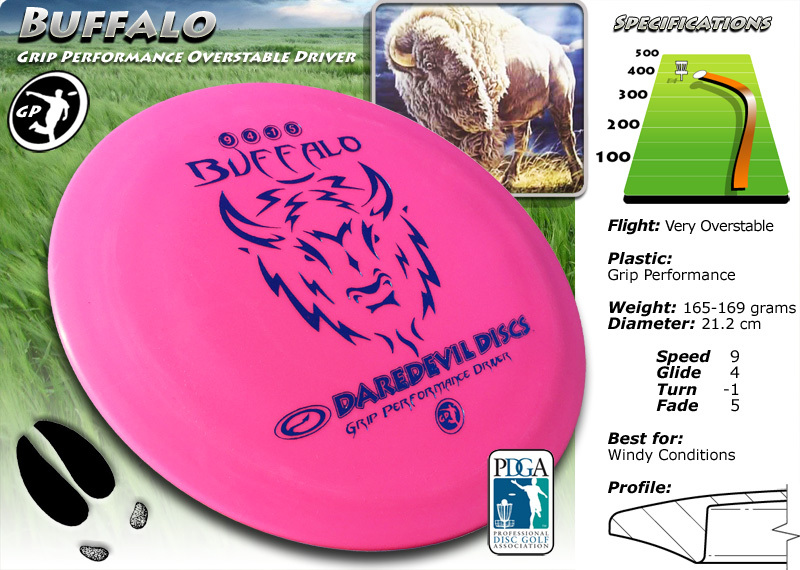 The Buffalo, offered in Daredevil’s Grip Performance Plastic, is a more beginner friendly overstable wind driver offered in weights in the mid 160s (grams). Out of the box, it offers even more Turn than the Sabertooth and Mammoth, with the predictable Fade at the finish. The Buffalo or Bison is also known as the American buffalo. The adult commonly grows to 2 meters tall or more. It has long shaggy hair if they inhabit colder regions and the bison in the warmer climates have shorter hair. The buffalo is considered to be the largest land mammal still in existence in North America, where the natural habitat ranged from Canada to Mexico. Before the settlers arrived in North America in the 1800s there were approximately 60 – 100 million buffalo inhabiting the area.